Not sure if anyone can help me with this but I'll try at least. Way back in 2008 I picked up an S5000 sampler. When I plugged it in for the first time the screen flashed for a brief second before I heard a loud snap from within the unit and noticed a slight burning smell shortly afterwards. Obviously some component of the power supply popped but I was never able to identify exactly what had gone wrong. I remember spending a lot of time inspecting the motherboard and I didn't notice any obvious signs of damage. I always meant to take it somewhere for a professional to have a look at it but I can't remember now if I ever got around to it. My guess now is that I hadn't earthed the device correctly before switching it on but I could be wrong. Anyway, I almost forgot that I ever had this machine and it has been sat in some dark corner of my mother's garage for around a decade now (I was 17 at the beginning of this story). It will soon be coming back into my possession and I want to know if it's worth my effort trying to bring this thing back to life. I don't know how to determine whether the entire unit is ruined or just the power supply. I can buy a replacement power supply for fairly cheap and even a replacement motherboard but I would hate to spend the money only to find that the sampler still doesn't work (If for example the damage has spread to other parts of the machine such as the screen or other PCBs inside). I know it's not expensive for me to buy another S5000 second hand but if there is any way to fix this one then I'll do what it takes. I can post some photos in two days when I've got the machine again if anyone can help me. Sorry for the length of my post but I would be greatly appreciative if anyone can help. Re: Akai S5000-Worth Trying to Fix? Since you can buy another one for about $300 these days, the repair would have to be really inexpensive to make it worthwhile to fix it. Open it up. See if anything looks amiss. That should give you an idea of where it's gone wrong. If you were smelling something, you should be able to find what popped. Getting a machine looked at can be expensive, these days. I've had quotes for $100 just to open one up. Then you have to have it fixed, if they can/are willing to/can find the parts. Personally I think its always worth having a go at saving stuff, you have nothing to lose but your time so if you have the time give it a go. Usual rules apply though, make sure its been off and unplugged for half hour before you go rooting around inside. 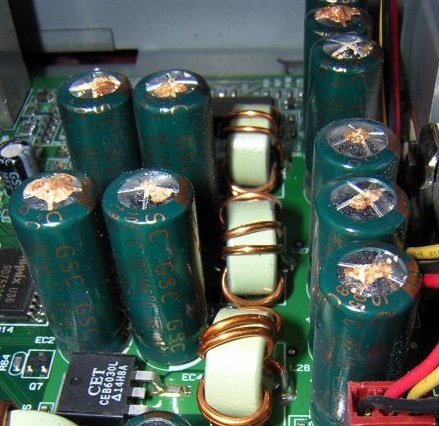 The description of the sound makes me think its a popped capacitor, most likely around the PSU area, sometimes they are really obvious but often they can be quite subtle, look for the end cap being split open as it heats up and vents, hence the pop and then the smell. Obviously it could be anything really and its quite possible a fail will then blow a fuse as well. If you dont know what you are doing then I would say sell it as parts only and get another as they are still affordable, not worth messing about with unless you have the time on your hands or want to pay at least half its value for a repair. If it has the usb board, 64 note poly board or effects built in then you can salvage those parts.